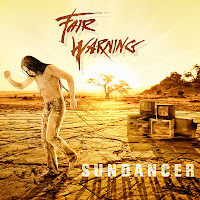 Rock & Metal 4 You: CD-Review: Fair Warning - "Sundancer"
CD-Review: Fair Warning - "Sundancer"
Do you remember the early 90's? The radical change within the rock genre was very difficult for many melodic rock bands. Many of them separated and others were newcomer, who didn't get the chance to get famous with their traditional rock style. The latter also includes the German melodic hard rock band FAIR WARNING. They released their debut album in 1991 and they still wait for their big breakthrough ... especially in Europe and America, because for many years now Fair Warning are celebrated like superstars in Japan. Will the band get their huge success with their new album "Sundancer"? It was some years ago when I discovered this band. I listened to their first three records and especially "Go!" was a little gem to me. Later I lost sight of them, because all the following records couldn't keep up with the first albums. The last one "Aura" couldn't impress me, too. It got a bit boring, although the guys stayed true to their style over all those years. That means: catchy melodies, virtuoso guitar parts by Helge Engelke, lots of vocal harmonies and the strong voice of Tommy Heart. This mix sounds really good, right? But the songwriting was worn-out. The hooks weren't placed in the right moments. 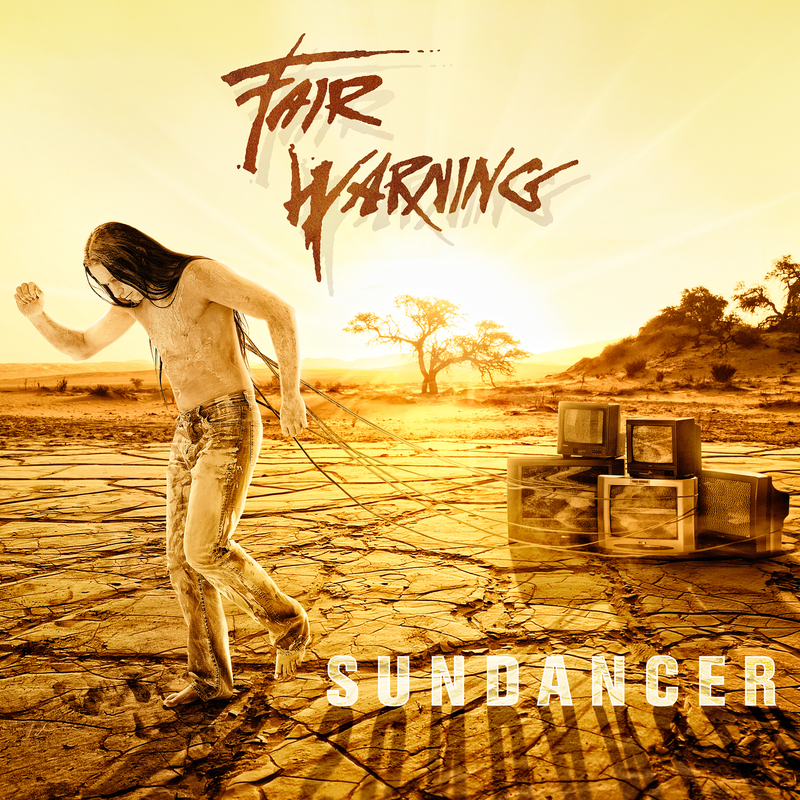 With that in mind, I put Fair Warnings new album "Sundancer" in my player and after the first three songs I was totally blown away. What a positive surprise! To me it feels like Fair Warning live through their second spring, when it comes to songwriting. The overall concept hasn't changed so far: guitar player Helge still deliver excellent and unique solo parts. I don't know any other guitar player, who plays like him. Helge gives each song a very unique sound. On the other hand wie have singer Tommy Heart with his warm and raspy voice. He conveys the charisma of the old big classic rock singers like Joe Lynn Turner or David Coverdale with his voice and reminds me sometimes at the great Steve Lee (R.I.P.). So these two columns give Fair Warning a very unique and remarkable style. From the first note you just hear that this has to be Fair Warning and not any other band. The production is also really good - could be a bit more punchy, but nevertheless it's good and fits to the style of this band. It's all very earthy. 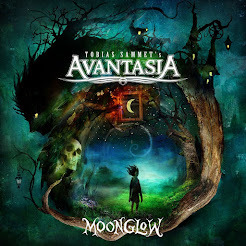 Sometimes you could say the arrangements of the songs feel outdated, but this underlines the sound of this really traditional, classic melodic hard rock recording. Let's talk about the songs: as I said the songwriting impressed me very much this time. Every hook really hits the spot and also the guitar licks are used at the right places, but most of all: almost every song on "Sundancer" rocks! The opener "Troubled Love" has an amazing bridge to offer and also the chorus is strong. This song is topped by the following "Keep It In The Dark". This is just classic hard rock in pure culture and it comes along with stunning guitar parts escpecially in the end of the song. With "Real Love" we get the first ballad and this is not a cheesy one. It's a real beautiful song with a chorus, which is out of this world. "Man In The Mirror" is again one of those songs with a 70's rock edge. Another great one! "Natural High" rocks really good and sounds quiet fresh. You just hear how much fun the whole band has to play that song. This one makes you move! "Jealous Heart" begins with a cool wild west intro and leads into one of those bluesy, moody classic rock tracks. Like this one very much. "Touch My Soul" is the next big thing. The melody of this song just hypnotized me. "Send Me A Dream" is the second ballad, which seems to be a bit darker than "Real Love", but it has also very nice harmonies to offer and sounds not too polished. "Pride" is a great melodic rock track wich is just fun to listen to .... just like every song on this album. I still sing-along to most of the songs. They just stuck in my head. "Get Real", "How Does It Feel" and "Living On The Street" are no exceptions of that. "Cool" is the only song which sounds a bit strange to me, but he is also easy to listen to and one of the shortest tracks on the album. Speaking about the length of "Sundancer" I can only say: this is value for money. On the special edition you get 15 tracks with a play time of 70 minutes! But this is also the only thing I have to complain: to me "Sundancer" felt a bit too long, because due to this fact it gets a bit repetitive at a certain point (melodies and also guitar parts). Strangely it doesn't annoy me too much, because songwriting is top notch and all songs are enjoyable, though. Yeah and that's it. All I can say is that this is a really strong album - maybe one of their best. If you are a fan of classic melodic hard rock you will love "Sundancer"! It's the perfect feeld-good record for the next summer months. Play it in your car and play it loud! Fair Warning are back in the game! Highly recommended!!! CD-Review: Cream Pie - "Unsigned 2.0"
CD-Review: The Poodles - "Tour De Force"